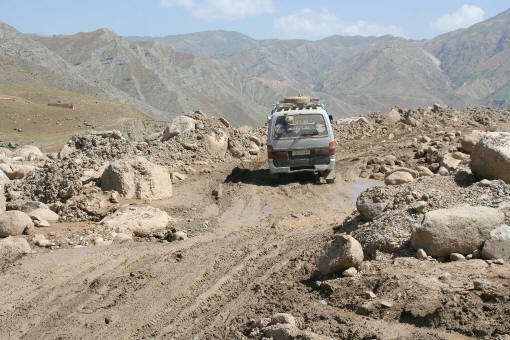 This road in the province of Badakhshan looks similar to how it might have 3000 years ago. This is due to a recent flood caused by melted snow from a local mountain. The threat of flooding is a serious and potentially fatal one as they seemingly come out of no where during the summer months. The recent flood on this road killed over 400 sheep.